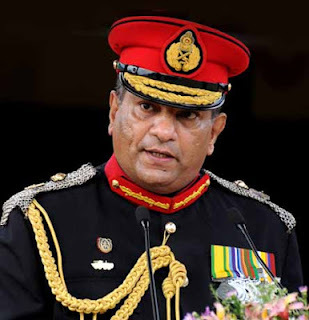 Army Commander Lt. General Jagath Jayasuriya has been promoted to the rank of General by President Mahinda Rajapaksa,with effect from June 1st, the Army news source said. General Jagath Jayasuriya is currently serving as the Commander of the Sri Lanka Army. Commander Jagath Jayasuriya prior to his appointment as Commander, served as the Commander of Security Forces Headquaters- Wanni during the final Ealam War, with overall command of the SLA offensives in the Wanni region during 2008-2009 that led to the victory of the Civil War.